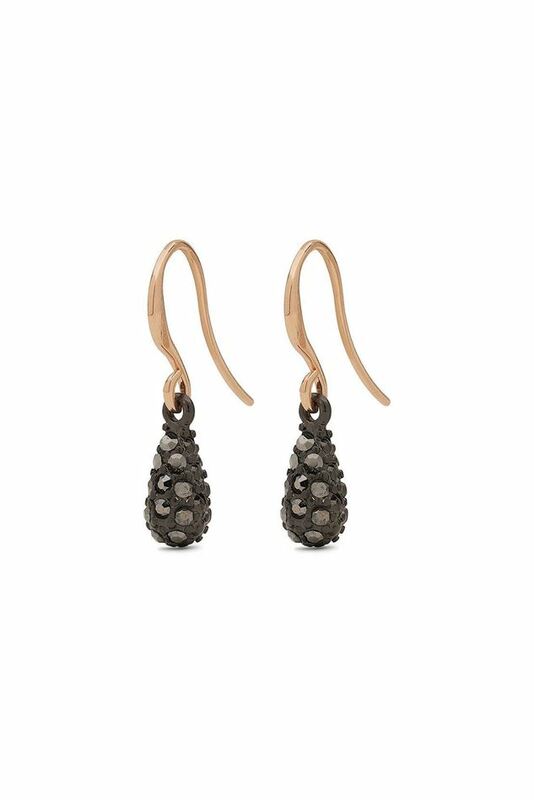 Unique earrings with beautiful black drops. Unique earrings with beautiful black drops. The grey crystals add a touch of raw glamour and the bubbly structure provides a more distinctive look. The rose-gold coating of the hooks creates a beautiful contrast effect. These earrings are beautiful on their own, but will look even better in interaction with other of Pilgrim’s beautiful earrings. Create your own personal look with these unique earrings.